Cuba and the United States are physically close, but culturally separated by decades of geopolitical mistrust. Whether you are a U.S. citizen who has never been allowed to visit Cuba or you are an international student who hasn’t had the chance to experience Cuba’s warm culture, join us as we explore the nation! 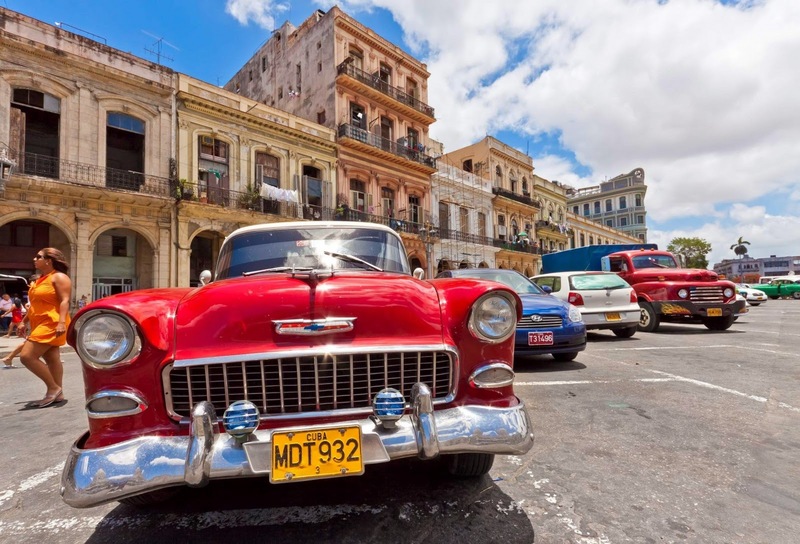 As relations between the United States and Cuba begin to thaw, join us for a tour of Cuba’s cultural treasures – Cuban food, beverage, arts, entertainment and cultural exploration! Your leaders are incredibly excited about the trek, and they will be there for your every need. If you want to enhance the activity level of the trek with some extra workouts, Nate “shotskier” Underwood will be glad to accompany you for a morning run. If there aren’t enough hours of partying on a day’s schedule, Selena “Salsa till the sun comes up” Zhang will be glad to party until dawn and make sure you get home safe. If you wanna learn salsa but don’t know where to start, Selena will be very happy to accompany you dancing. Given the ongoing U.S. embargo of Cuba, you may be curious about the legality of the trek. The educational nature of the trek qualifies us for a special U.S. Treasury Department program, so we are in compliance with all regulations. Depart Miami for Havana! We kick things off with a tradtional Cuban meal overlooking the Straits of Florida. We'll check in at Hotel Copacabana before visiting Café Madrigal. Dinner will be at one of Havana's hottest seaside restaurant/club. We'll get our learn on and hear from the longest serving foreign correspondent in Cuba, before heading to the famous Bodeguita del Medio for some mojitos. We'll see the Old City by foot then hit the beach like the locals before heading to a state-run restaurant. Cuban diplomat, Carlos Alzugaray will tell us about U.S. - Cuba relations and Cuban foreign in the morning. We then depart for Pinar del Rio and check into our private homes in Vinales. After a hike through a tobacco field, we'll take a swim in the underwater caves before enjoying a home cooked meal in our private homes. We'll visit Cayo Jutia, a private, pristine beach that you will have all to yourself. After enjoying a packed lunch on this stretch of beautiful white sandy beach, we'll take part in a baseball game with local Cubans. Our dinner is at a farm in the valley owned by the large family of Concha and Paco Hernandez. The descendants of Concha and Paco have farmed the same plot of land for many generations and their land is involved in the production of a multitude of fruits, vegetables, grain and tobacco. Test your moves and learn some new ones in interactive salsa dancing lessons. Today we will depart for Havana. On the road, we'll enjoy a quick lunch at La Casona de 17, located in the Vedado neighborhood, and then visit the United States Interests Section (USINT), which represents U.S. interests in Cuba. Diplomats from the mission will speak to us about the functionary role of the USINT, current events in Cuba, U.S. policy toward Cuba and bilateral relations. In the evenning, we will dine at Café Mercurio, located in the beautiful San Francisco Plaza. After that, we can attend the “cañonazo” Cannon Ceremony held each night at nine o'clock at the La Cabaña Fortress on the other side of the Havana Bay. We'll visit a home in Regla for a discussion with Magia López and Alexey Rodriguez of the hip-­‐hop/jazz duo Obsesión about their experiences and views onrace and gender equality in Cuba. Our lunch is at Prado y Neptuno, an Italian restaurant situated along Prado Boulevard and Central Park. In the afternoon, we'll visit Rum Museum, wander the arts market in Old Havana. Housed in the former presidential palace, Muesum of the Revolution provides an overview of pre and post-­‐revolutionary events and artifacts. We'll also visit La Finca Vigía. Formerly the home of Ernest Hemingway. Today it still houses his expansive collection of books. Here he wrote two of his most celebrated novels: For Whom the Bell Tolls and The Old Man and the Sea. We'll visit Prive, a hip new trova bar, for a discussion with Frank Delgado, renowned singer and songwriter, about the nueva trova movement in Cuba, followed by a musical performance. We'll have dinner at El Tocorro Restaurant, featuring tasty Cuban dishes and live music. Adios Habana! We'll stop at Revolutionary Square for a group photo before leaving for Miami.